Not sure what to give the anti-commercial, veg or veg-friendly person on your Christmas list? Consider giving them the gift of an NCVA membership. We'll even throw in this cute little envelope and an NCVA magnet with your gift membership, or when you purchase one for yourself. It’s a gift that keeps giving all year: the $20 membership fee supports the NCVA’s work in the community. But not only that, it entitles the NCVA card holder member to discounts at many of Ottawa’s finest veg and veg-friendly restaurants. Plus, you’re not buying something that will go in a landfill or end up at a thrift store. 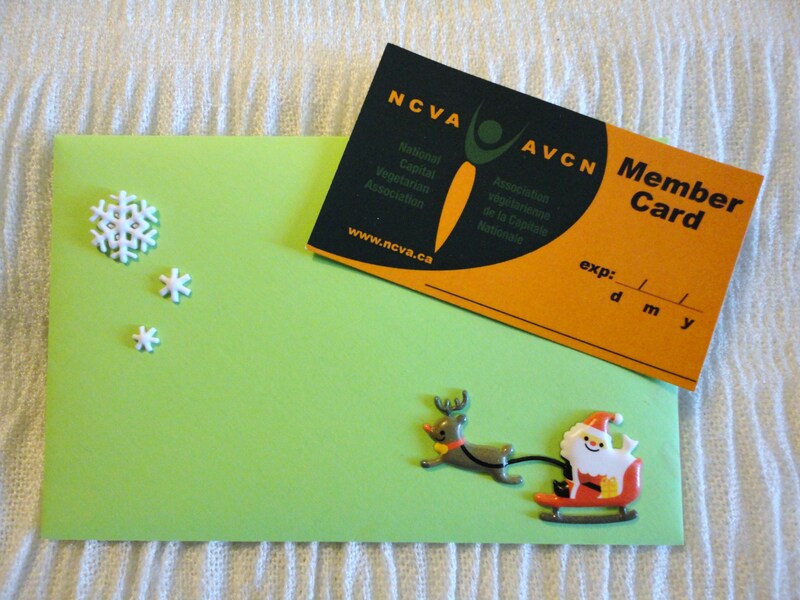 Your gift membership will include the membership card in a festive envelope, a list of applicable discounts and a cute little NCVA magnet to put to good use on the fridge! Gift memberships will be available at the December potluck, and at The Table Vegetarian Restaurant on Sunday, Dec. 12, betwen 11:30-1:30 and 5:30-7:30. If you buy a gift membership online, please email ncva.avcn(at)gmail.com separately and immediately with the recipient’s name and contact info. The t-shirts look exactly like this. 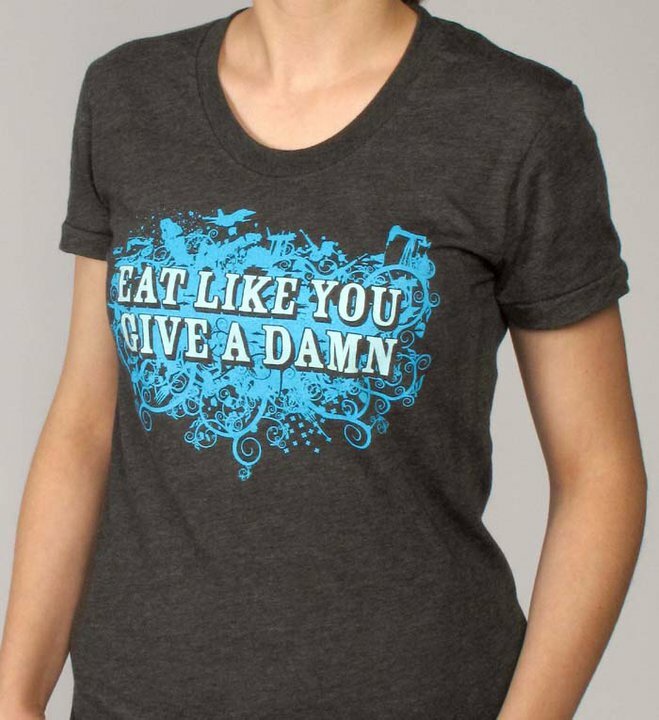 The NCVA is also selling these fab “Eat like you give a damn” t-shirts, that would make a great gift! The t-shirts are made by (sweatshop-free) American Apparel. At the moment, we have a full range of sizes for men and women. These normally sell for $21 + shipping + tax + customs through online stores, but we are selling them for $20 each. They can be purchased at the December potluck (this Saturday, Dec. 11) or at The Table on Sunday, Dec. 11 between 11:30-1:30 and 5:30-7:30.